If you’re planning a trip to Namibia, it’s more than likely that your vacation will begin and end in the capital of Windhoek, home of Hosea Kutako International Airport. 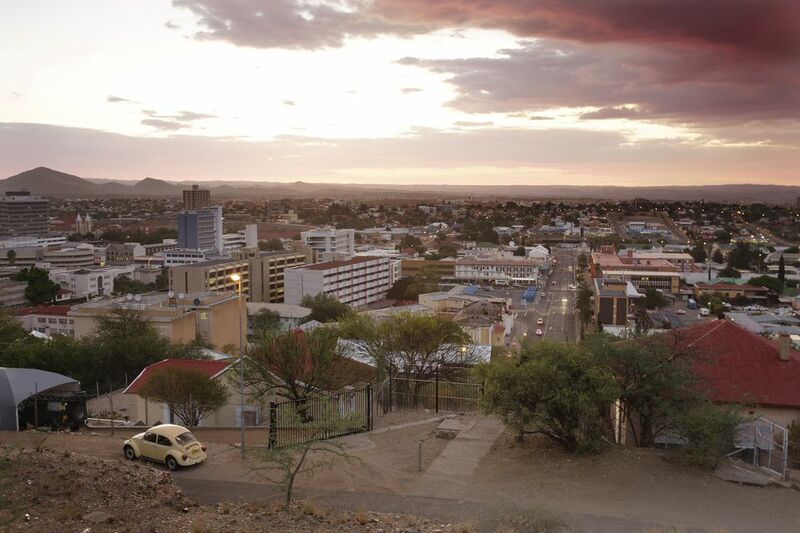 For many visitors, Windhoek is simply a point of entry—a place to meet up with your tour guide, or pick up your self-drive rental car. However, if you have the time to spare, it’s worth planning an extra night or two in the capital, as it's home to some interesting sights in its own right. Here are five of the top things to do in Windhoek, ranging from historical attractions to unique nature areas. Located near the center of town in the Old Breweries Complex, the Namibia Craft Center is your one-stop shop for authentic souvenirs. Admittedly, the prices are higher than they would be at a roadside stall, and it’s not really an appropriate place to practice your haggling skills. However, the covered market is safe, clean and community minded. There are more than 40 independent shops, and together they provide around 4,000 jobs for artists and artisans living in the country’s most remote areas. Amidst the cornucopia of colorful stalls, you’ll find traditional Namibian crafts ranging from hand-carved tree roots to jewelry fashioned from copper and ostrich eggshell. There’s a bookstore, and a gallery with regularly changing exhibitions by local and international artists. When you’ve stocked up on mementoes and gifts, stop for refreshments at the Craft Café. Specializing in locally sourced Namibian produce, the café is loved by visitors and residents alike as a vibrant place for breakfast and lunch. To the north of Windhoek city center lies Katutura township, whose name translates as “the place where people do not want to live” in native Herero. The district’s history is an unhappy one. In the late 1950s, black residents living in the suburb now known as Hochland Park were forcibly relocated to Katutura under apartheid law. Here, they were made to pay high rent for barely habitable homes, and to commute long distances to inner city jobs. Today, 60% of Windhoek’s population still lives in Katutura. Poverty is rife, but the township is also a center of vibrant culture, and a visit to the area is a must for those that want to gain a true insight into the lives of Namibia’s urban people. One of the safest and least divisive ways to experience township life is on a bicycle tour with respected company Katu Tours. On the 3.5-hour excursion, you will have the chance to meet Katutura’s residents, to purchase local crafts and to taste traditional kapana meat at the township’s lively marketplace. Learn about the end of apartheid at the Independence Memorial Museum. Here, an impressive range of paintings, artifacts and informative displays tell the story of resistance to the colonial regime and the struggle for racial freedom. In front of the museum, there are two important statues—one of the first President of Namibia, Sam Nujoma; and the Genocide Memorial, which commemorates the atrocities carried out against native Namibians by German troops in the early 20th century. The museum is free to enter, and remains open seven days a week. If you have the time, consider combining your visit with a tour of the next-door National Museum of Namibia, which includes fascinating displays about Namibia’s San rock paintings. These are especially worthwhile if you’re planning a trip to sites like Twyfelfontein and Spitzkoppe, where you can see the paintings in situ. The building that houses the National Museum is also of interest—it’s an old German fort dating back to 1890. Located off Sam Nujoma Avenue, the National Botanic Garden of Namibia spans 12 hectares of land and provides a good introduction to the country’s natural beauty. It isn’t your typical botanic garden; instead of landscaped lawns and exotic flowerbeds, the garden has been left largely in its natural state—both to conserve water, and to showcase Namibia’s incredible indigenous flora. As a result, it can seem parched in winter, although there’s beauty to be found all year round. Keep an eye out for desert-adapted species including aloes, succulents, acacias and a beautiful quiver tree forest. Information boards can be found along the garden’s self-guided trails, and you can pick up bird and plant lists from reception. This is a worthwhile destination for birders, providing a home for 75 species, many of whom are attracted by the garden’s dam. Indigenous wildlife also thrives, including the charismatic rock hyrax or dassie. The garden is open Monday to Friday, and admission is free. Those with a full day to spare should pay a visit to the Daan Viljoen Game Reserve. Located 15 miles/25 kilometers from the city center, it can’t compare to the sheer size and biodiversity of Namibia’s iconic Etosha National Park; yet it also can’t be beaten for close-to-the-capital convenience. There are no large predators here, which means that you can safely explore on foot (via two well-marked hiking trails), on a mountain bike or in a vehicle along the park’s 4x4 route. Instead, the park is a haven for ungulate species, including the desert-adapted oryx, steenbok and klipspringer; as well as better known African animals like the giraffe and zebra. It’s also a popular birding destination, with over 200 resident species. Scan the trees for endemics like the Rüppell’s parrot, and near-endemics like the Monteiro’s hornbill. If you feel like extending your stay, check out the Sun Karros lodge with its chalets, restaurants and swimming pools.